The Supreme Court on Thursday cleared four incumbent and former lawmakers of illegally locking up a spy agency official in her residence ahead of the 2012 presidential election over a political meddling scandal. The top court upheld the lower court's not guilty ruling on Rep. Lee Jong-kul of the ruling Democratic Party, his fellow party member Kim Hyun and two former party members, Kang Gi-jung and Moon Byeong-ho. They were indicted in June 2014 for shutting a female official of the National Intelligence Service (NIS) in her house in southern Seoul for 35 hours on December 2012, less than a week before the presidential vote. 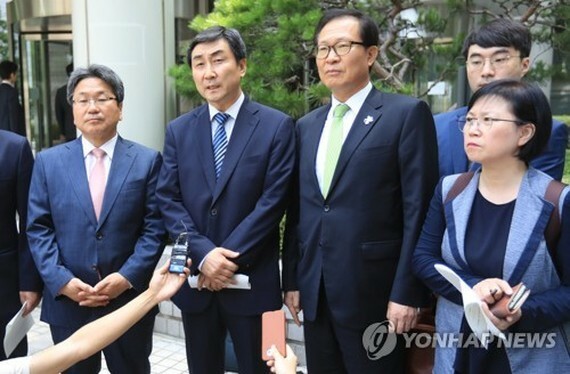 The defendants, who belonged to the then-main opposition Democratic Party, visited her place after the party got a tip about the spy agency carrying out an online political maneuver aimed at influencing public opinion in favor of the then-ruling party candidate Park Geun-hye. The tip had it that the NIS instructed its officials to write hundreds of Internet comments denouncing the liberal opposition and maligning its candidate Moon Jae-in. The prosecutors that investigated them concluded the probe by placing them under summary indictment with a fine, but the court decided the case should be tried. The lowest and appellate courts both found them not guilty, saying it is difficult to see that the official was confined or that the defendants had any intention of confining her. The courts also said she was presumed to have been in a safe condition to leave the premises since police forces had been dispatched to the site and she constantly had contacts with the police while she remained in the residence. 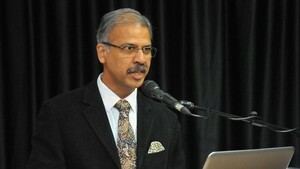 The top court on Thursday agreed with the previous rulings. The NIS official, only identified by her last name Kim, has been standing her own trial for perjuring herself in a confession about the alleged political interference. Prosecutors have been investigating the spy agency's alleged political meddling in a far-reaching probe against its officials. Former NIS chief Won Sei-hoon is also standing trial over a string of charges in connection with the scandal. Source from the Yonhap.